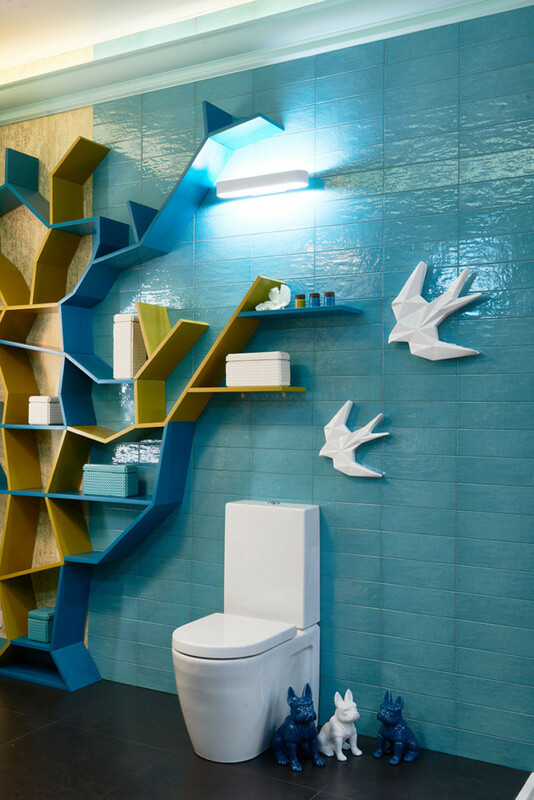 This bathroom prototype was exhibited on a stand during an interior design trade fair and immediately attracted thousands of visitors with its lightness, cheerful color palette and positivity of tiny wood inhabitants “living” within its walls. The name of the interior is as creative as its design – “The Owl’s Nest”. The composition was created by a famous Russian designer in collaboration with the company that has been specializing on the production of luxurious bespoke doors and furniture for 20 years already. Their corporate style is expressed through reserved and laconic classical canvas free from any redundant décor, details and accessories. Every new collection of the company stems from a series of doors that is consequently complemented with a suite of built-in or free-standing furniture, kitchen sets and other interior elements, including baseboards, crown moldings and paneling (boiserie). In the “Owl’s Nest” the designer and the furniture mill were experimenting with colors, textures and forms, and the result appeared to be eye-catchy, fresh and absolutely unhackneyed. 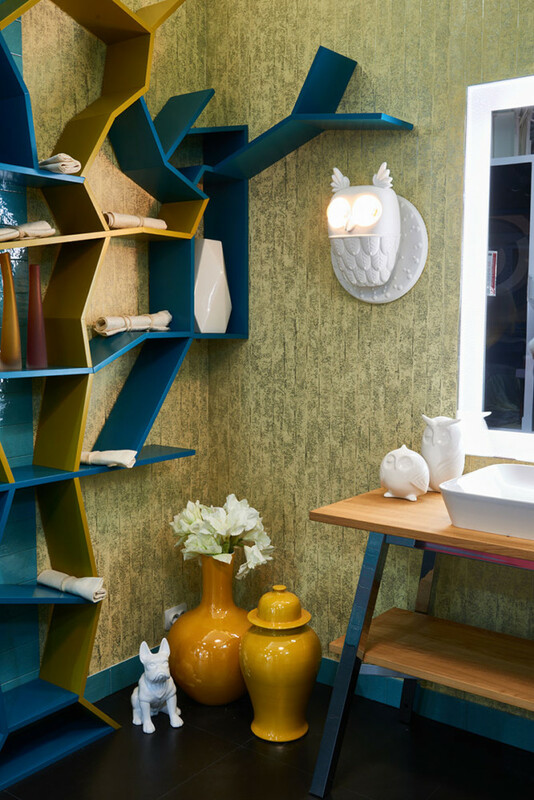 Fanciful owl-shaped sconces by Karman and stylized shelving units created from the designer’s sketch form a bathroom image that would be just perfect either for a conceptual hotel or a fan of non-standard interior solutions. 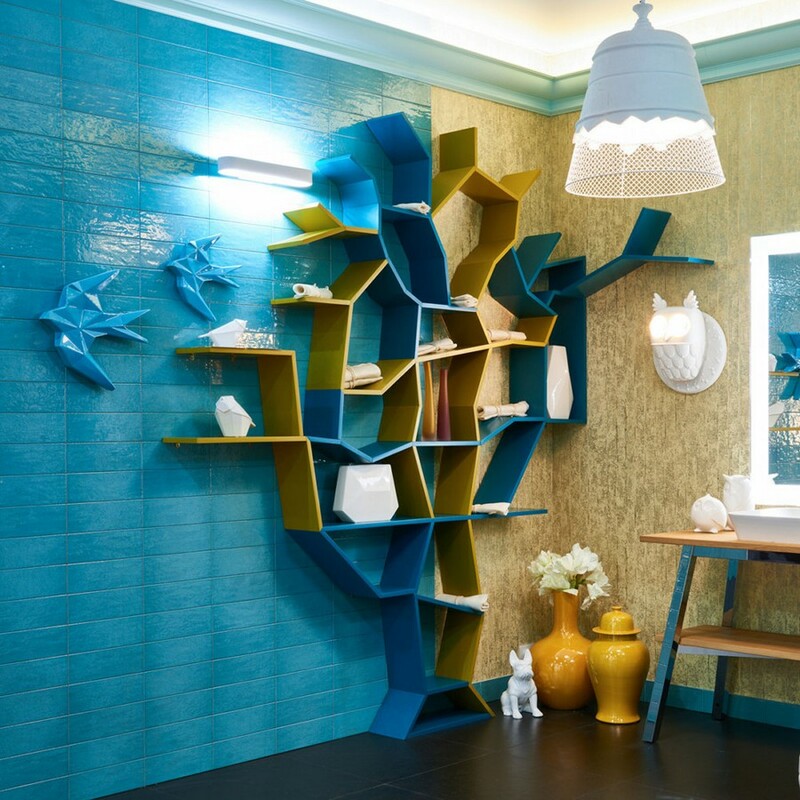 And the mixture of glazed turquoise ceramic tiles and golden wallpaper will ensure amazingly cheerful mood! matte water paint by Sanderson (UK), Manders. ceramic granite by Casalgrande Padana, the Architecture collection. picture lights by Crystal Lux.